Halesi Mahadev Darshan Tour ( Maratika Tour) takes you around the famous Temple that is located in the Khotang District of Nepal. It is the natural cave, which lies in the 4th remote hilly region and is believed to be in existence since 6000 years. The Temple is very old as it is believed that Lord Shiva came to the place to hide from the Demon Bhasmasur. Lord Shiva Killed the Demon in the same place. After the demon was killed with the help of slyness mind of Lord Vishnu Shiva along with his consort Parvati made this caves as their abode. This cave is also a holy site for Buddhists. They believe that Guru Padmasambhava, the second Buddha meditated here for three months. 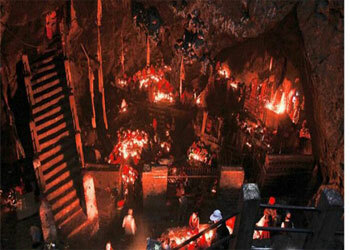 There are three caves on the hilltop that represent three eyes of Lord Shiva. Many people from Hindu and Buddhists community come to this place during Shivaratri, Ram Navami, and Ganesh Chaturthi. This temple is located in a mysterious beautiful cave in a hilly region of the country in between the holy rivers Dudh Koshi to the right and Sunkoshi to the places of Nepal, it is very popular with an equal status to the Pashupatinath Temple of Kathmandu. Halesi Mahadev Darshan Package in Nepal is for 5 Nights 6 Days which is fully worth of Culture, Historical, heritage sites & ancient temple. 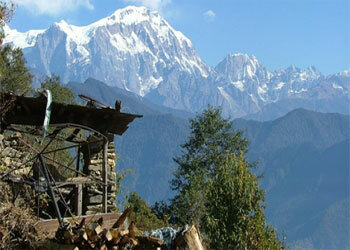 Halesi Mahadev tour popular among the Hindus as well as the Buddhists all over the world. Among the most ancient and holies tight of about 35 min to Lamidanda. The same day we will drive to Halesi Baba Temple. 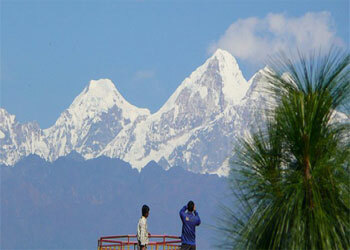 It is famous pilgrimage center in east f eNepal, and it is also known otherwise as the Pashupatinath of the east. Major attractions of Halesi Mahadev Cave incorporate five different doors namely Ghopte Dwar, Janma Dwar, Pap Dwar, Dharma Dwar and Swarga Dwar. 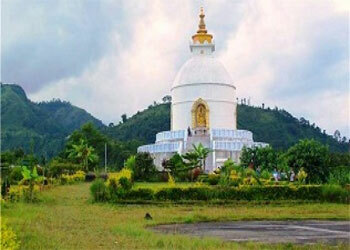 tour which is full of natural beauty and cultural inheritance. Halesi Mahadev is the most sacred pilgrimage site oas Halesi Mahadev Temple which is securely positioned inside the cave where the creature of night lurks around. Huge religious fairs are observed here on Shivaratri and Bala Chaturdashi, so during your Halesi Mahadev Darshan tour, you may have a chance to observe those. 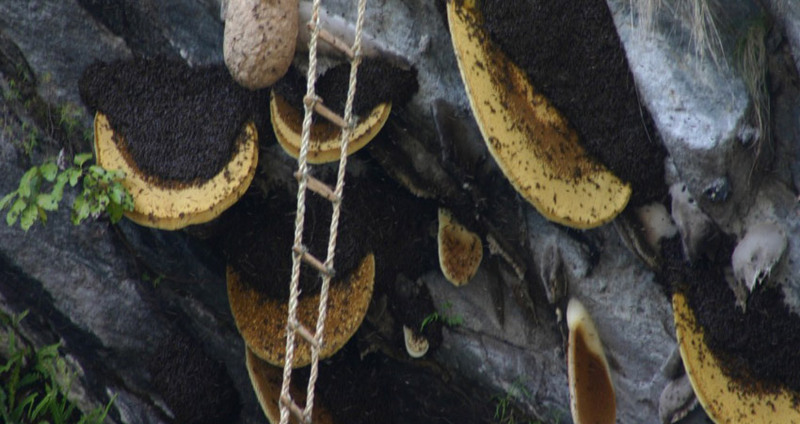 Legends surround this cave and it is largely associated with long life. It is written that Guru Rimpoche achieved an immortal life with Mandarava at Maratika Cave. Legend has it that Buddha Amitabha and Dakinis wrote down the eighteen tantras of Long Life, concealed them in a box made of precious jewels, and hid them in Maratika Cave. The water that drips from the stone ceilings of the cave is considered very holy and is compared to Amitayus long life nectar. After descending the stairs at the walls of the cliff, we will arrive at the big red stone which is revered as the images of Lord Shiva and his consort Parvati. We “Above the Himalaya Trekking (p) LTD” is proud to arrange a brief 5 Nights 6 Days long Halesi Mahadev Tour package which will lead you through the ancient and revered region of Halesi Mahadev. Transportation: Good Condition Private Jeep a good driver and tour guide. Helicopter flights are available. Today early morning we will drive to Halesi Mahadev by private road, it will be about 8 hour drive through scenic road .The trail crosses with several beautiful small villages and wonderful landscape of terrace fields, green hills and yet more. Halesi Mahadev is 222 km far from Kathmandu. Morning Darshan to Halesi Mahadev Temple, Halesi Cave & Many more places can be visited at Halesi Mahadev. After breakfast at Hotel and drive back to Kathmandu.